Close any vlc windows you have open, then open vlc again. In the preferences window choose "All" for "Show Settings" at the bottom left. Then click the Browse button for "Sound fonts" and choose your soundfont file. 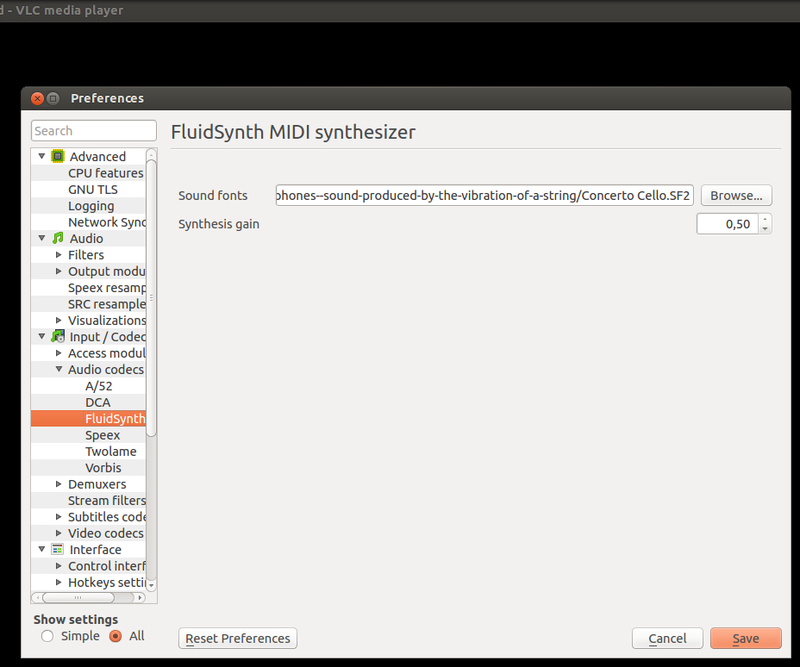 Save then restart vlc and play a midi file.